Hello~~ ❤_❤, How are you ladies? I hope you're doing well!! I'm going to make a comparison between my eyeliner collection. Many people already asked me about this, sorry for make it so long~! ≧△≦ And I hope this review isn't make you bored ._. This is my pen-type liquid eyeliner collection at the moment (Owh yeah, forget about the Etude one!). 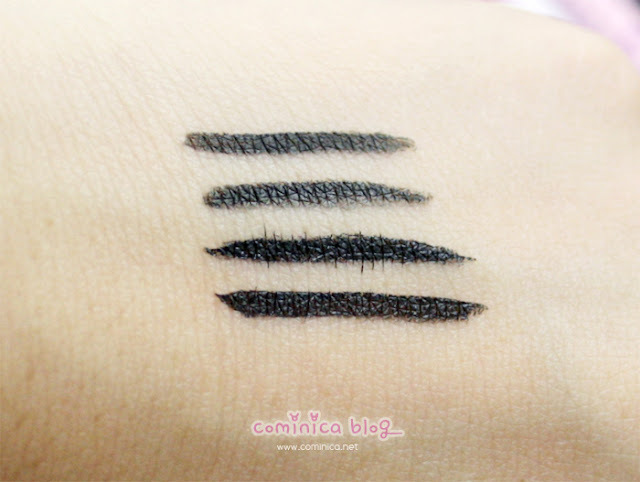 I'm going to review this four eyeliner only. lol. Here's the swatch. 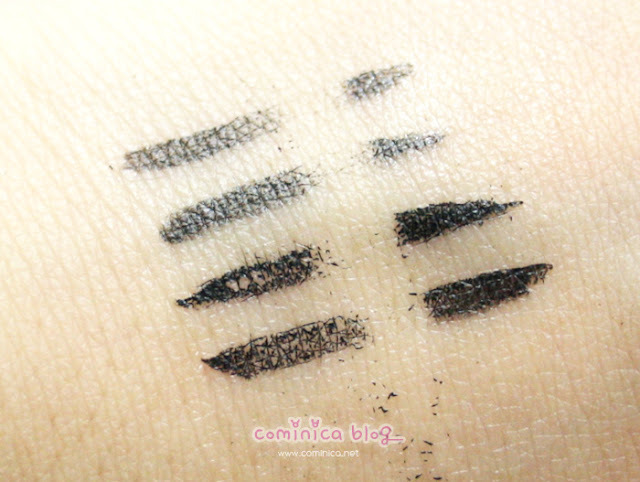 (1st-SANA, 2nd-Maybelline, 3rd-K-Palette, 4th-Dolly Wink). ✩ SANA, natural black color. 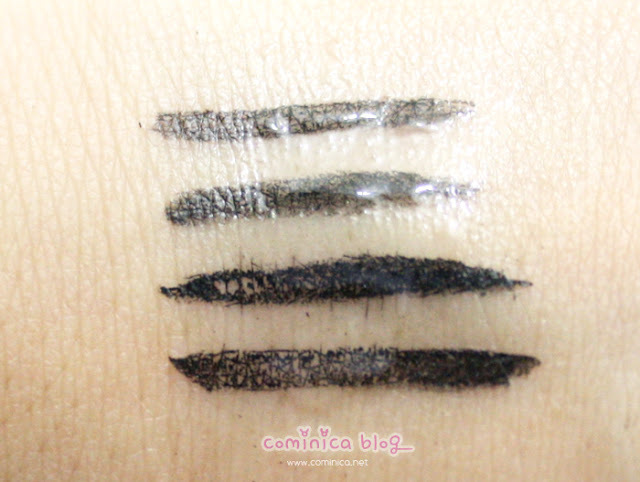 When dry the texture is like Maybelline, but Maybelline is look like using gel liner. ✩ Maybelline, natural black color. When dry the texture is like a gel liner. Not glossy or look like rubber. ✩ K-Palette, super black color. The only eyeliner that spread on to my skin, you can see it on the pictures. It just like an ink. 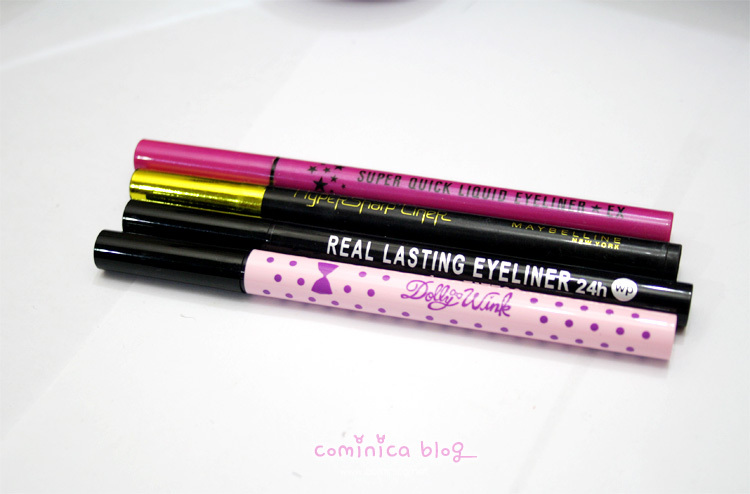 ✩ Dolly Wink, super black color. Almost same like K-palette. Which one is the most quick dry formula? 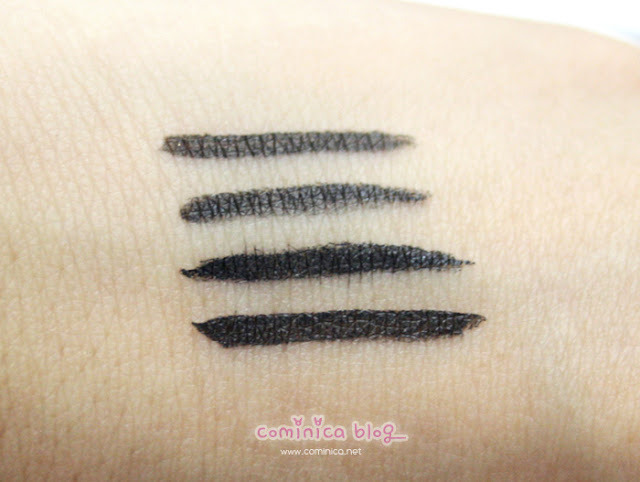 Maybelline hypersharp liner. All of them are smudge-proof! ✩ Drop with water and rub it slowly. 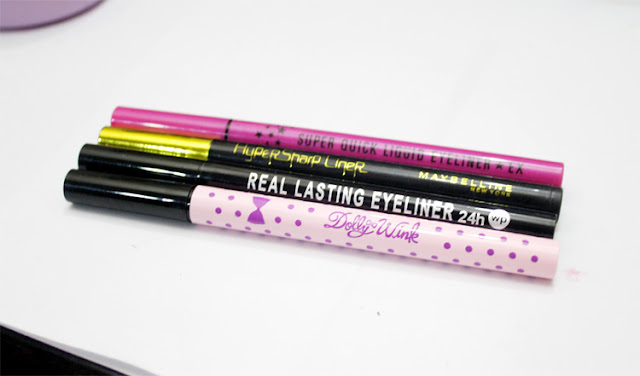 You can see which eyeliner is really waterproof.
. Dolly wink, I don't know why it's crack like that. ✩Tap it and dry it with fingers.
. SANA, okay, a bit washed..
. Maybelline, doing well. Bit washed too.
. K-Palette, when rub the eyeliner is become like flakes so it has a hole like that. But, it's really waterproof.
. Dolly Wink, a little bit cracked but it's okay. Which one is the most water-proof out of them? K-Palette. ✩ Wipes with a cotton. --Okay, As you can see. K-Palette and Dolly wink looks a bit messy because of the flakes, but that's okay, this will happen only when you removes your eye make up. 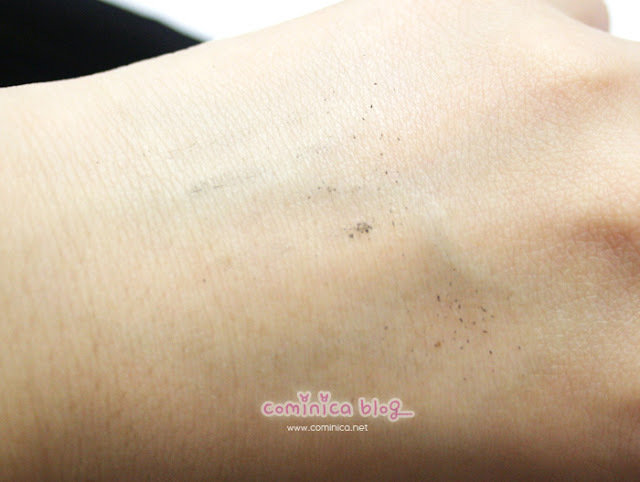 ✩ Clean all of it (you can see, it still has a little stain from the eyeliner). I still love the Maybelline one. Why? For me, I prefer the natural black color which not too black and messy when cleaned. It's smudge-proof, water-proof and stay long on my eyelid but the bad thing, it doesn't stand my oily eyelid. Actually, all of them are okay. But when use for hang out, this is the result based on my experience (may different on you or other people). ✩ Boring packaging : I can't choose between Maybelline and K-Palette, LOL. (This is based on me, you may have a different opinion or experience. So, you better try it by your self XD). I hope this review helps you, sorry if it's too long @_@. I'm kinda confused when make a long review like this, mwahahahhah ≧△≦. See you~! Oooo. This comparison is pretty helpful! :D <3 Thanks for sharing! This post is really helpful!!! you did a great job! Nice! btw thanks for sharing X"D nice ! hope it stays on monolids! Maybelline is much easier for me to buy than the other brands, since I life in the Netherlands. Maybe I'm going to try the Maybelline one. Great review! If only I knew how to apply eyeliner correctly! I'm following you,return love back? lol, yeah! XD all of them is good but I don't like the SANA one, it's not waterproof. I've only ever tried the Dolly Wink one and I'm fairly happy with it. I'd like to try K-Palette though.. thanks for the comparisons! now i know i won't buy k-palette !